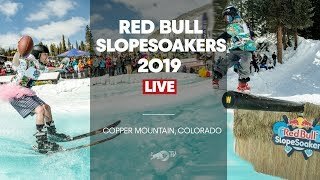 Red Bull SlopeSoakers 2019 | FULL SHOW from Copper Mountain, Colorado ► Red Bull Slopesoakers is a twist on the traditional pond-skim as it gives competitors the chance to show off their tricks on rails suspended above two separate pools of water. Think of this as a Red Bull Flugtag, but on snow. GoPro: Jugaad Skate Competition in India The Jugaad Skate Competition in Bangalore was born out of necessity to accommodate the thousands of new skaters in India. Jugaad has become a place for skaters to exchange tricks, culture, and ideas within this growing community. 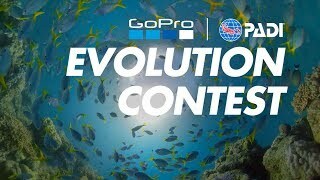 GoPro: PADI Competition Announce GoPro + PADI present a new challenge awarding $7,500 in cash prizes for your best dive content! The Winning Cliff Dives From Red Bull Cliff Diving 2019 Philippines Red Bull Cliff Diving World Series returned in 2019 with the first stop ever in El Nido, Philippines. Have a look at the best moments and winning dives by Gary Hunt and Rhiannan Iffland. GoPro: Powder Vibes in Austria Roman Rohrmoser and Felix Wiemers get some late season powder lines with #HyperSmooth from #GoProHERO7 Black. 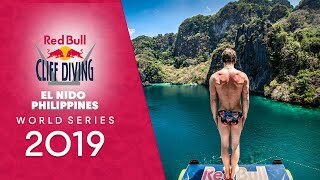 Red Bull Cliff Diving World Series 2019 | LIVE from El Nido, Philippines We are LIVE from El Nido, a first-ever stop in the Philippines to kick off the 2019 Red Bull Cliff Diving World Series. Watch the live event as the world's best cliff dive from up to 27m! 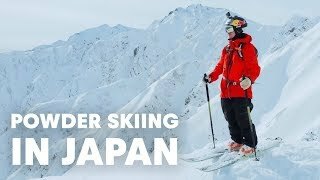 Not Your Average Japow Edit | w/ Kristoffer Turdell Kristofer Turdell, the Swedish Freeride World Tour champion of 2018 travels to Japan. GoPro Awards: Surfing Storm Swells Surfing through storm swells with GoPro Awards recipient, Keahi De Aboitiz, with #HyperSmooth from #GoProHERO7 Black. 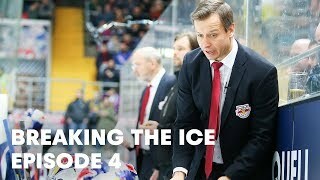 Trainer der Zukunft Matt McIlvane: Liebt und lebt Eishockey | Breaking the Ice Als Assistent an der Seite von Meister-Trainer Don Jackson leistet Matt McIlvane seit 2014 einen wichtigen Beitrag zur Erfolgsgeschichte des EHC Red Bull München. Seine Geschichte zeigt, dass ein viel zu frühes, verletzungsbedingtes Ende einer aufstrebenden Eishockey-Karriere auch der Startschuss für eine aussichtsreiche Trainerkarriere sein kann. Sein großes Ziel ist es, eines Tages selbst Cheftrainer in einem Team zu werden. Dominik Paris Chases the Super-G World Cup Title in Andorra Finals Dominik Paris sets his sights on the Super-G Crystal Globe at the FiS World Cup Finals in Andorra. Closing the 2019 season, Italian Dominik Paris battles Marco Odermatt of Switzerland in the World Cup Title. Both come from fresh podium finishes, with Paris winning the Andorra downhill and Odermatt coming Giant Slalom third in Kranjska Gora. Also competing are Vincent Kriechmayr, Aleksander Aamodt Kilde, Kjetil Jansrud, Matthias Mayer and Mauro Caviezel. After an intense World Cup Final, Dominik Paris win the coveted Super-G Crystal Globe for the first time. 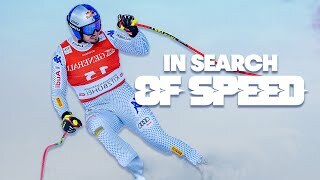 In Search of Speed is an all-access documentary series taking the viewer into the hearts and minds of alpine skiing’s superstars, and showcasing the courage, talent and persistence required to dominate the world’s most professional race circuit. Join Lindsey Vonn, Dominik Paris, Alexis Pinturault, Marcel Hirscher, Sofia Goggia, Henrik Kristoffersen, Thomas Dressen, Viktoria Rebensburg and Aksel Lund Svindal across the 2018-2019 Alpine Skiing Season, following them across all the stops on the calendar and seeing behind the scenes into the life of an alpine skier. 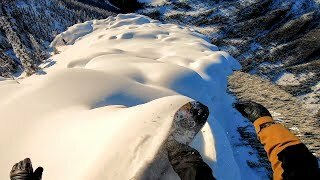 GoPro Snow: Travis Rice's Insane Pillow Line Just when we thought we've seen it all... GoPro Athlete, Travis Rice, sends it down a fully stacked pillow line in the backcountry of British Columbia with his #HERO7Black and #HyperSmooth. Windsurfing During A Massive Storm In Ireland | Red Bull Storm Chase 2019 The most challenging windsurfing contest ever got the green light this year! Check what happened in our highlights video. Switzerland GoPro Relay Race with Olympic Athlete Pat Burgener! Spending the week at Crans-Montana in Switzerland was INCREDIBLE! Drone shots were done with the Inspire 2, filmed in 6K. Rookie Kevin Reich: Der EHC Red Bull München Goalie in seiner ersten DEL Saison | Breaking the Ice Der Absolvent der Red Bull Eishockey Akademie hat alles, was ein potenzieller Top-Torhüter braucht. Und doch ist das Leben als Back-Up von Deutschlands Star-Goalie Danny aus den Birken nicht immer leicht. Doch Gaming-Fan Kevin macht aus der Rolle hinter seinem erfahrenen Mentor eine Tugend und versucht mit jedem Training und jedem Spiel noch besser zu werden, um irgendwann vielleicht den Schritt in die NHL zu schaffen. GoPro: Urban Downhill MTB with #HyperSmooth | Jackson Goldstone Jackson Goldstone takes on a 250m long downhill track at Red Bull's Valparaíso Cerro Abajo. GoPro: Adam Cianciarulo Supercross Shred Join Supercross superstar, Adam Cianciarulo, as he prepares to clinch the 2019 AMA Supercross 250SX West Championship. 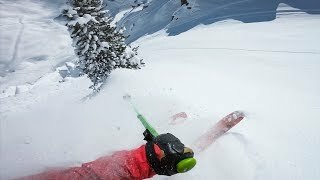 Freeride World Tour 2019 Finals LIVE from Verbier, Switzerland Snowboarders and skiers face off in the ultimate test that will crown the Freeride World Tour champion of 2019 at the grand finale in Verbier, Switzerland.